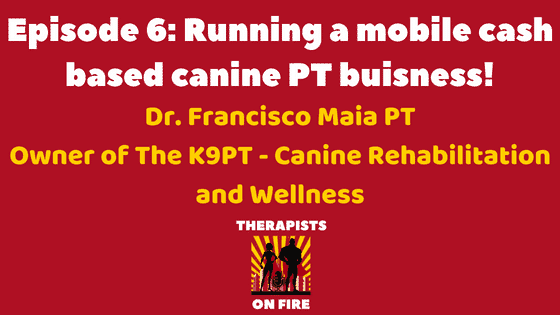 Episode 6: Francisco Maia is the owner of a mobile and cash based canine physical therapy practice. In this episode, Francisco discusses how to become a canine PT, the different courses that are required, how to start a cash based mobile canine PT business, and how to get equal wages as a canine PT compared to human physical therapists. Canine Rehabilitation Institute – Francisco prefers this to North Eastern as they are more hands on! Northeast Seminars – Only PTAs can be certified through North Eastern. “Canine Rehabilitation Therapist Certification is offered to veterinarians and physical therapists. Because many of our core certification courses sell out months in advance, we recommend that students register for all their core certification courses as soon as they know their schedules. Students do not need to complete Introduction to Canine Rehabilitation to register for other courses. “The University of Tennessee Canine Rehabilitation Certificate Program (CCRP) is the only university-based, RACE approved credential program for canine rehabilitation education. The Canine Rehabilitation Certificate Program (CCRP) from the University of Tennessee is the only RACE approved, university credential program for canine rehabilitation available to Veterinarians, Veterinary Technicians, and Physical Therapists. 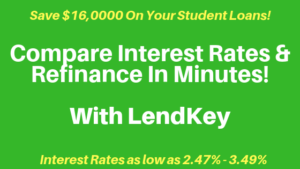 Developed using the same strict guidelines typically associated with university accredited programs, the course is taught by a faculty that includes active university instructors, expert clinicians, researchers, and recognized industry experts. The program draws from ongoing research, evidence based case studies, clinical experience, and leading companies in the fields of veterinary medicine. The high standards for admission and rigorous but fun curriculum assure graduates that the CCRP credential is recognized as the premiere program in canine rehabilitation. 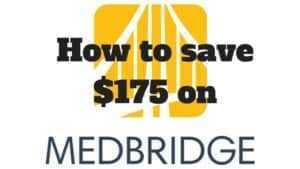 10:55 Some clinics will pay for your certification. Contact clinics and see if they will sponsor you but always look at your contract to see what clauses are in the contract as a result. 12:30 challenges in canine PT: understanding your handling technique, learning body language from animals, and how to communicate with pet owners. -Personally: Its fun to work with animals, never a grumpy patient! 41:00 Legalization of canine PT – Please join the animal rehab special interest group of the APTA to advocate for more independence in the canine world for therapists! Francisco recommends roughly 1 year of physical therapy experience prior to starting your own canine PT business to improve you clinical and communication skills first. Keys to getting paid more even as a canine PT: express your additional skills like marketing, blogging, advertisement, getting more patient’s in the door. You don’t need a lot of tools and equipment for a mobile canine PT business. You can simply do hands on treatment, progressive strengthening, and modalities as needed. Don’t make it complicated! Look very closely at your states legalization and get more involved to spread the access of canine PT and PTA’s.